Silver 1979 Puch Magnum MKII in excellent shape, however, it will need a complete restoration or re-conditioning. Either way, this bike will come with a complete professional rebuild on the 2 speed automatic ZA50 engine along with a 30 day warranty . 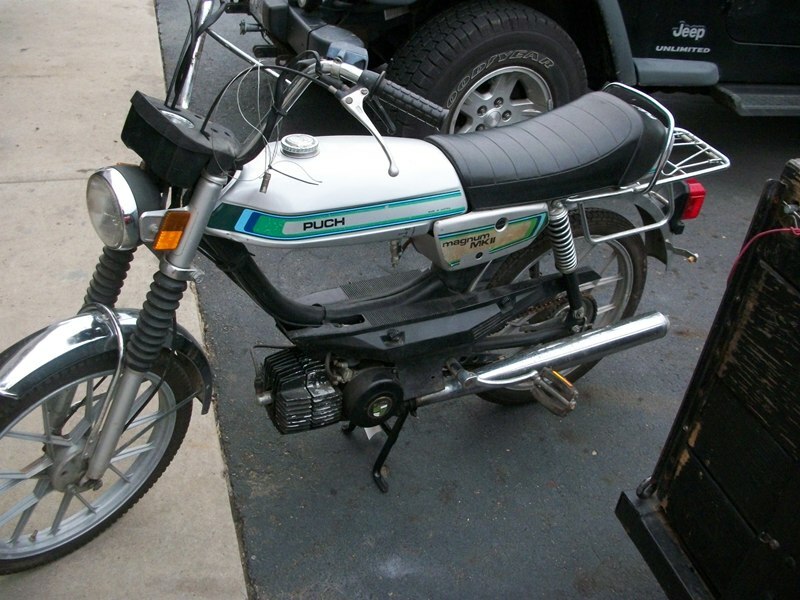 This completely original and stock Moped has hydraulic front forks, oil-injection and a stock and unmodified engine . Seat and all body plastics are excellent! If you choose to have it completely restored by us, we guarantee you that it will look, feel and smell like new and ride better than new!